Freedom Circle - Easy Lift Transportation, Inc. 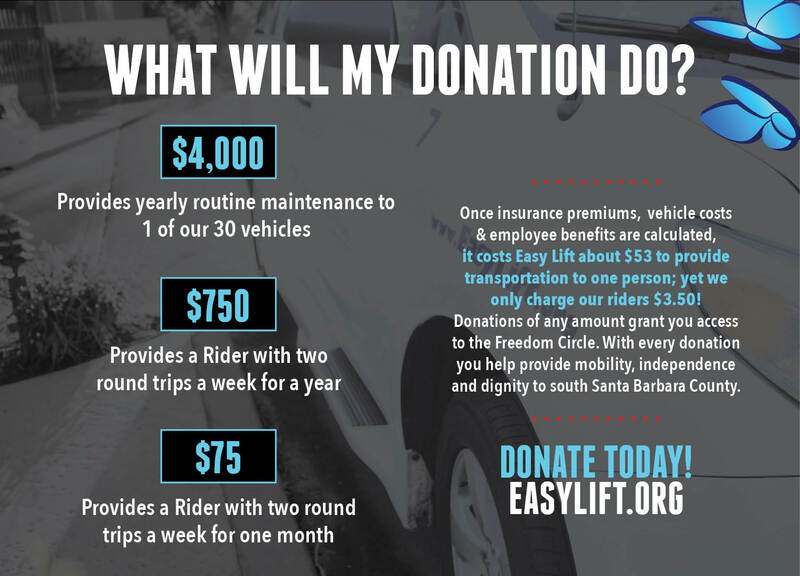 Your generous contribution to the Freedom Circle will directly support Easy Lift’s core programs to continue to connect thousands of frail seniors, individuals with disabilities, children and those undergoing a temporary disability to vital programs in our community. As always, Thank you for your continued support. Thank you for supporting Easy Lift.